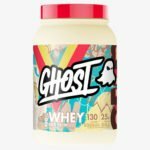 GHOST is a company that was first-to-market with a cereal flavored protein powder, and then soon after everyone and their brother came out with one. GHOST also discloses actual protein amounts and quality, something companies should take note of. GHOST Whey is a solid whey protein powder featuring three types of whey protein for three stages of digestion and a memorable flavor in their Cereal Milk. It is one of the best labels I have seen in terms of transparency, and it is a great protein powder well-worth the price tag associated with it. We reviewed GHOST Whey protein powder on five categories. We first start by looking at it’s ingredient profile. This portion of the review looks at quality of protein used, amount and other ingredients involved in the making of this protein powder. We then look at effectiveness. A high quality protein will be effective. This is generally an extension of the profile section. The higher quality ingredients used at proper dosages, the more effective that product will be. Then we move into the taste of the different flavors we’ve tried. We grade each flavor separately and average the scores for their overall taste rating. We were able to test out Fruity Cereal Milk. Mixability refers to how well the protein powder mixes in 12oz of water. We use the shaker bottle test. This would be your typical Blender Bottle with the spiral chrome ball. Finally, we talk about value. Value is the combination of profile, effectiveness, taste and mixability in relation to cost. Another part of value are the competitors and other versions of proteins available on the market. Normally you would take the 25g protein and divide that by the serving size to see the protein amount, but we need to take the actual powder amount which is slightly higher around 30.5g meaning per scoop we get 88% protein powder per scoop which is great! We also have GHOST Enzymes in this to aid in digestion and amino acid uptake. The macros are good as well at 1.5g fat and 4g carbs. Overall, a very transparent, good label. I would love to see GHOST come out with a 50/50 blend of Casein and Whey Protein Concentrate. With that said, this is a solid blend that should be considered! Several things you look at in a protein powder regarding effectiveness. One is the ingredient selection. We have full transparency, and we are getting three very high quality protein sources to give us 25g per serving. Check. Next we look at digestive issues and bloat. We didn’t have any from this. Part of the reason to have a multi-stage digestion system with three different whey proteins is to help with digestion and absorption to avoid the bloat. We don’t experience it here. Overall, a nice protein powder that doesn’t leave you feeling bloated. You have the peace of mind knowing that it is a good source from a good company. Since this came out, there has been a lot of various cereal flavors to come onto the market. This is more of a fruity cereal. It is very good. I will say it is not my favorite fruity cereal flavor I have tried, but it also isn’t using creamer to get to the superior taste. With that said, this is a VERY tasty protein that anyone is going to like. The difference between this one and my favorite is so small. After the first time trying I did have a film left in my mouth from this, but have not experienced it since. It must just have been from being new to this protein. Whey protein hydrolysate and whey protein isolate are going to mix the best. This powder has more of these two than it does of the whey protein concentrate, so this will ultimately mix better than a stand-alone concentrate. I would mix two full scoops, but for the purpose of this test, we did one per the recommended label instructions. It mixes very well. You can see from the video we didn’t have any clumping or issues. Solid work.  You will traditionally find a 2-lb whey protein isolate for $40. This isn’t a pure isolate, but retails at $40. So you could raise your eyebrows there, but we have a coupon code to save you 20% making this a 2-lb unit for $32. This is VERY reasonable and actually a very good value for the quality and transparency you are getting. Use code INFORMANT to save 20% ($8) per unit!